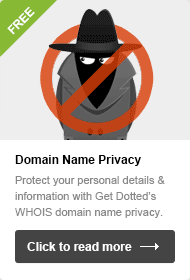 Buy domain names - register with GetDotted, the cheap domain registration company. Each domain hosted at GetDotted and Freeola comes equipped with our powerful MyFreeola Control Panel, that gives you control of all website and e-mail settings, plus a whole host of domain controls including DNS, Subdomains and more. An MX (Mail Exchanger) Record is a DNS Record assigned to your domain name which allows you to set which mail exchange server(s) you would like to use to handle your e-mail. Every domain name that is used for receiving e-mail has to have have an MX Record in place for e-mail to function, although often you find that your hosting provider handles this for you. If you would like to find out which MX Records you have in place on your domain name, you are able to check MX Records, as explained below. The main purpose of an MX Record is to allow the sending mail server to determine which mail exchange server handles e-mails for a domain. Whenever an e-mail is sent, the sending mail server will run an MX Record check to determine which mail exchange server the e-mail message should be passed on to, the message is then passed on accordingly. What can I use an MX Record for? An MX Record can be used to specify which mail server you would like to use to handle e-mail messages. If you would like to use e-mail services from a provider that is not your domain host, or would like to set up your own mail exchange server, you would need to alter this DNS Record. You may be used to the mail system of a provider, and would like to use your domain name with the system that you are comfortable with. 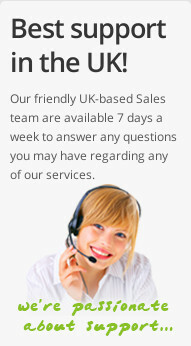 It could be the case that you are interested in a particular feature which is not included with your hosting provider. Either way, to use an external host just for e-mail, you would need to alter the MX Records on your domain name. If you will be using an external e-mail provider, they will often provide you with a list of MX Records that they would like you to put in place. These would then need to be assigned to your domain name so that any messages are handled by the MX Servers of your e-mail provider. Multiple MX records are often used to offer redundancy if a mail exchange server is busy, is not available or encounters any issues. If you are looking to handle messages internally using your own mail exchange server, you would need to ensure that your server is using an internet connection with a static IP address and is configured to recieve e-mail. Once all is configured as required on your exchange server, you would need to assign the static IP address of your mail server to the MX Record for your domain name. Setting up an internal exchange server requires some technical knowledge to initially configure, and to resolve any problems that arise. There can also be issues with redundancy if you encounter issues with your internet connection at any point. How can I set an MX Record? The process for changing an MX Record varies depending on your hosting provider. 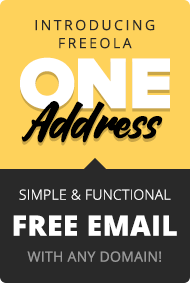 Freeola offer a easy online control panel for managing the DNS Records assigned to your domain name. If your domain name is hosted with Freeola, to set an MX Record, all you need to do is log into your MyFreeola Control Panel, select View/Edit Domain Details from the left-hand menu, tick the box beside your domain name and press Change DNS. If you then select the option to Create/Modify Custom MX Records, you will be taken through the process. How can I perform an MX Record lookup? If your domain name is hosted with Freeola, the easiest way to check the MX Records assigned to your domain name, would be to follow the instructions above for setting the records, as the on screen process lists out any records that are in place before allowing you to change them. You are also able to check the MX records on a domain name using Freeola's Domain DNS Lookup tool. Just enter the domain name into the box provided, click Check, then select the MX tab on the results page. As an alternative, it is possible to run an MX Lookup using the NS Lookup tool included with Windows. To NS Lookup MX Records, you would need to follow the instructions below. Press the Windows Key + R on the keyboard to display the Run prompt. The Windows key can be found between left Ctrl and Alt. Enter "cmd" into the box provided and press OK to display a black command prompt. In the command prompt, enter the following command, with "freeola.com" replaced with the domain name that you would like to lookup. You will then be shown a list of the MX Records currently assigned to your domain name.